A NEW tablet designed exclusively for older people has been launched in Ireland. The company behind the ‘GrandPad’ celebrated its European launch with the opening of its headquarters in Gorey, Co Wexford. 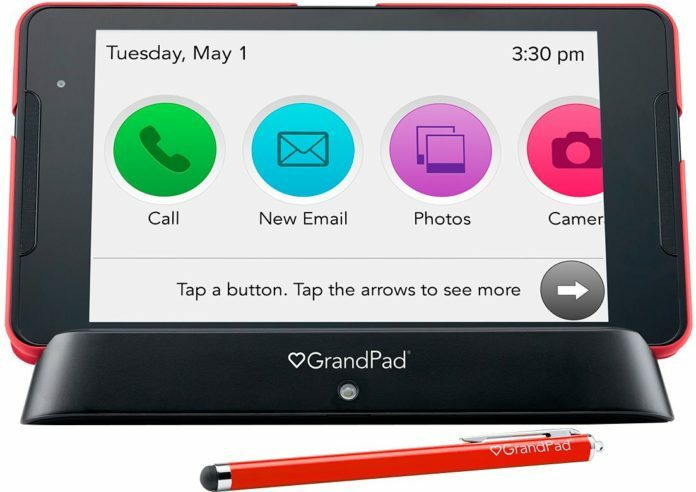 Focused on reducing loneliness and improving connectivity among those over the age of 75, GrandPad is complete with apps for older adults that use large, clearly-labeled icons for video and voice calls, photos, e-mail, music, games, news, weather and search. Family and caregivers can also video chat, receive voice e-mails and share photos through its companion app on i0S and Android. According to the Irish Longitudinal Study on Ageing, an estimated 400,000 people in Ireland are lonely. It is hoped technology can play an important role in helping older adults reduce loneliness and isolation by allowing them to stay connected and live independently at home. GrandPad is hoping to employ more than 75 people in Ireland. Scott Lien is the CEO and co-founder of GrandPad: “We are grateful to our partners IDA for endorsing our mission to improve the lives of older people.